Cargo Capacity: Standard Cargo Pod, One All Terrain Defense Turret, two 2-M Hover Tanks, or one All Terrain Armored Transport. 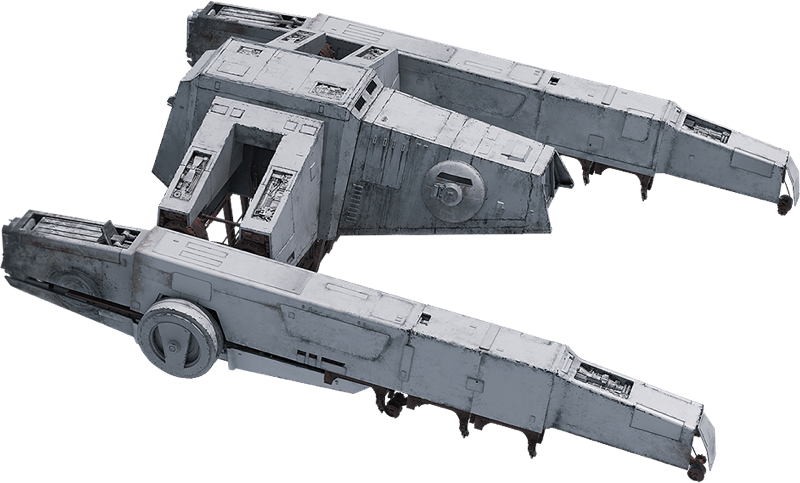 Description: The Y-45 armored transport hauler, or AT-hauler, was a specialized starship manufactured by Kuat Drive Yards for use in the Galactic Empire’s army. Boasting cargo lifter arms, it was used for swift deployment of walkers onto the battlefield. The Y-45 armored transport hauler, also known as AT-hauler, was built by Kuat Drive Yards, one of the foremost military shipwrights in the galaxy, for use by the Galactic Empire. 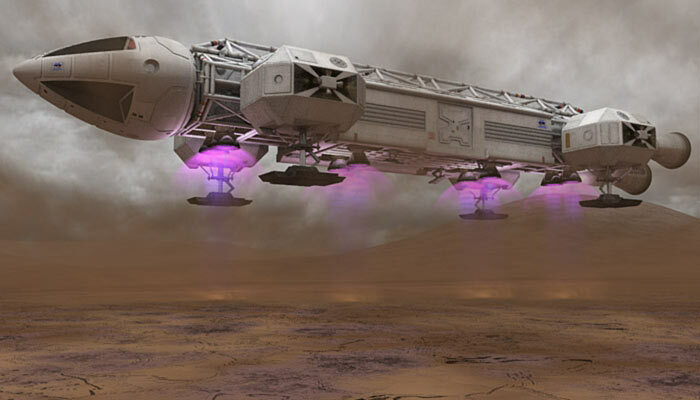 Several ion engines provided the ship with thrust in realspace, while linked banks of repulsorlift generators gave it thrust and lift in atmosphere. Its maximum atmospheric speed was of 125 kilometers per hour. The ship also had a hyperdrive, although its navigation computer only contained pre-calculated hyperspace jump destinations to a select group of Imperial outposts—in an effort to discourage thieves. Its heavy-duty cargo lifter arms featured magnetic clamps on the underside that locked around the cargo. The load could be further secured by localized traction fields, as well as strong cable ties and winches of Steelton make. 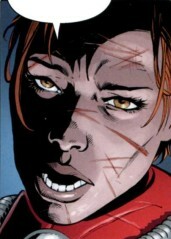 Energized tensile strength fields radiating through the arms helped the YT-45 withstand buckling under heavy weights. Not unlike Sienar Fleet Systems's Abecederian line of shuttles, the Y-45 could rotate its arms upward in landing mode, to save space in hangar bays and landing fields. As such, it measured 20.10 meters in length and 6.50 in height in flight mode (with both arms extended), but 11.20 meters in length and 18.90 in height in landing mode (with both arms upward). Other notable features of the Y-45 included its armored cockpit canopy with forward and downward viewports, a service gantry and clamp brace platform, and a shower stall inside the main compartment. The Y-45 required a crew of only two: a pilot to handle the flight operations, and a co-pilot to manage the cargo-lifting operations. The Y-45 was designed for swift deployment of walkers anywhere onto the battlefield, except under an energy shield. It could either carry one All Terrain Defense Turret, two 2-M Hover Tanks, or even one All Terrain Armored Transport. 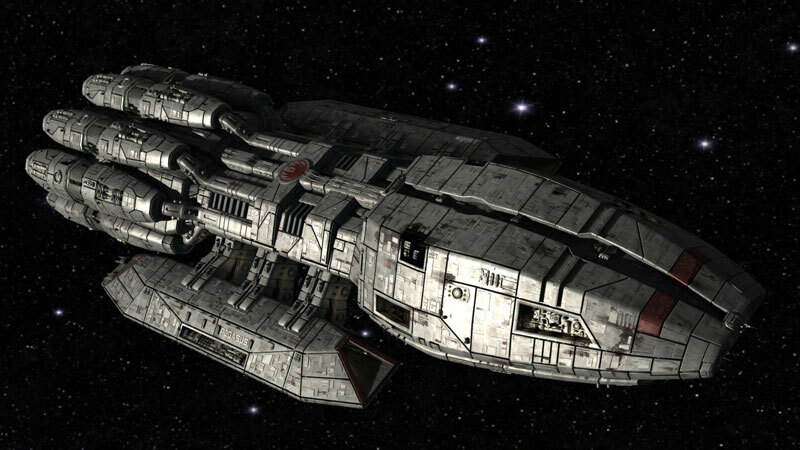 The Y-45 armored transport haulers were an upgrade from similar Clone Wars-era carriers. By 10 BBY, they were already in the process of being phased out in favor of more versatile transports. Nevertheless, they still saw action on Mimban that year, during an Imperial campaign against the native Mimbanese. The gangster Tobias Beckett and his crew stole an Y-45 from the Imperial forces on Mimban to grab a shipment of coaxium from a passing conveyex train on Vandor-1. Some time after the Battle of Yavin, the anti-Empire Alliance to Restore the Republic salvaged several Y-45s, which they put to work on the battlefield. 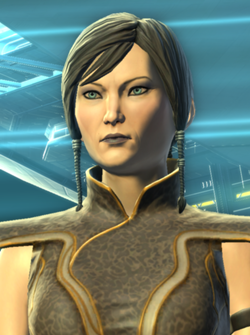 The Alliance notably used them to deploy Armored Assault Tanks and juggernauts. Rather than the standard Imperial gray, those Alliance haulers were colored dark gray and orange.